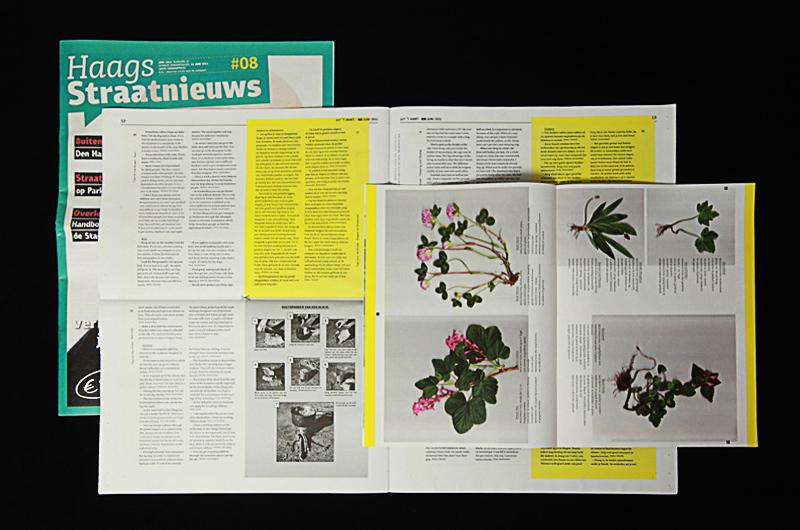 Handboek voor de Stadswildernis is a guide for survival in the fringes of Dutch cities. The handbook contains sections like Sleeping & Shelter; Food; Equipment; Clothing; Washing; Sickness; Emergencies & Services. The book also provides a guide for edible city weeds: a short description of the plant, the location where it can be found and how it should be cooked. 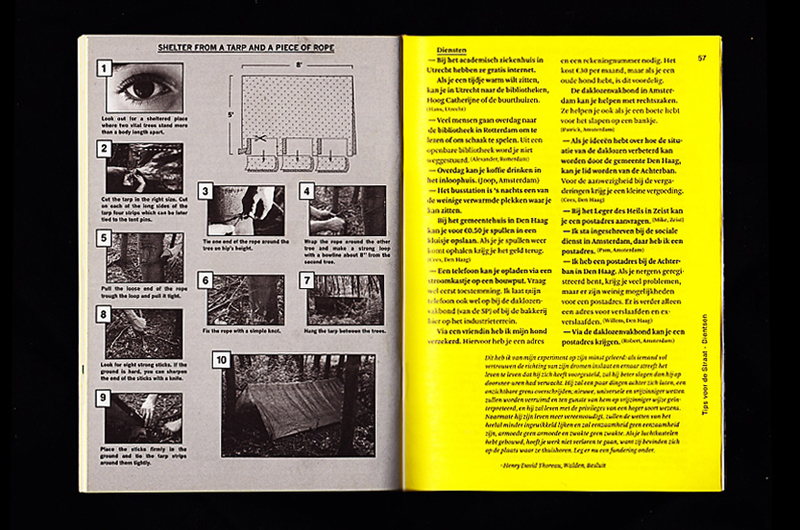 All the information, tips and tricks in the book is based on a series of interviews with homeless people that have developed similar strategies for survival. Through their practices of recycling, reclaiming the surplus of the food industry and their use of local, informal economies, they are developing useful alternatives for our wasteful society. To validate and distribute the knowledge of people living without a regular home. To help others living in similar situations or those who are looking for an alternative to the dominant practise of waste and extravagance. To investigate the possibility of a life off the grid in a densely populated area of the Netherlands. Knowledge of those living without regular homes is distributed validating the way of life of people on the fringes of society whilst also giving them a voice. This allows a better insight into this world helping to prevent false assumptions and prejudice from outside. The information was widely distributed through the different homeless peoples' newspapers so people had easy access to these tips and tricks for use in their daily lives.